We wear new clothes to bring out the new atmosphere during Lunar New Year. 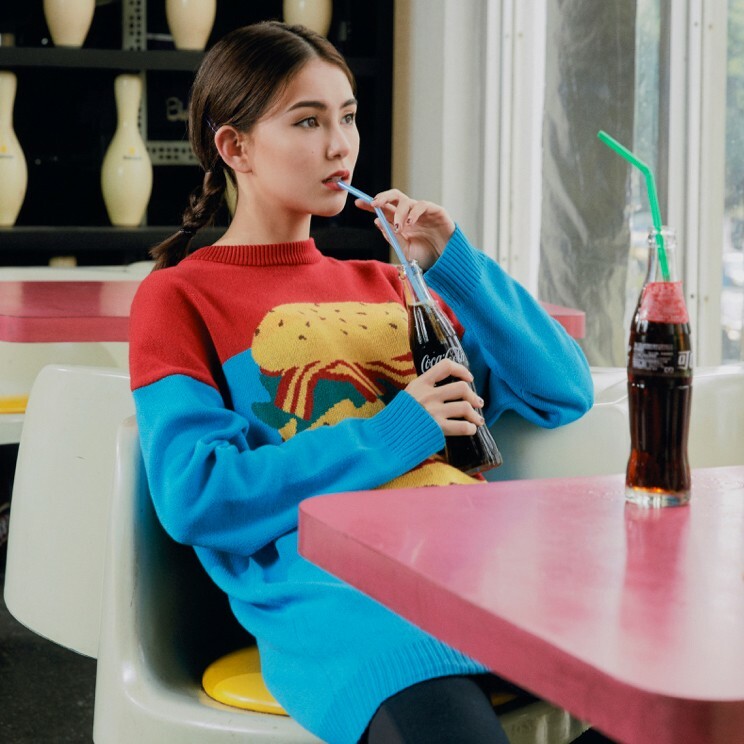 “Lunar New Year Outfits” is a very important knowledge you need to learn about. You need to choose the “lucky color” that the elders like, at the same time, your outfit needs to be appropriate and also shows your own style. Get your imposing manner and deal with the “heed” from your relatives. 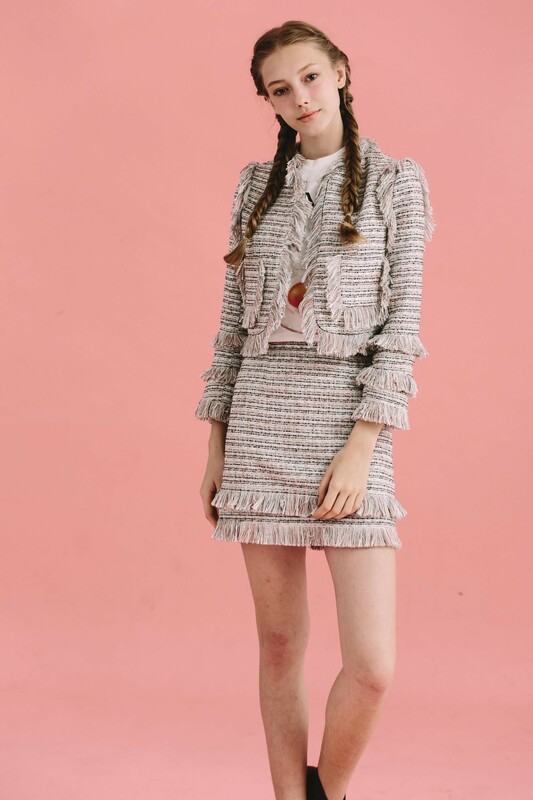 Follow JENDES and get your outfits from Lunar New Year Eve to the 4th done! The whole family gets together for a family-reunion feast and plays cards until midnight on Lunar New Year Eve. 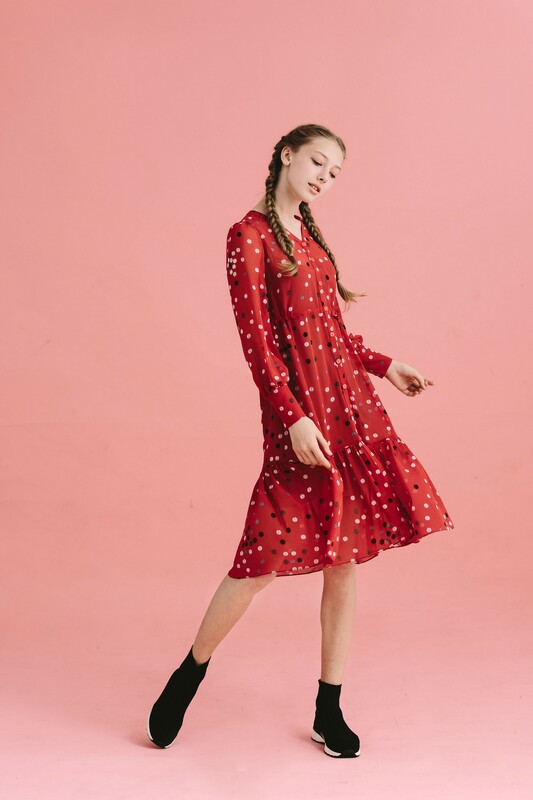 The Polka Dots Print Dress is the best for this occasion. It’s made of thin chiffon so you won’t feel too hot when you wear it indoors. The length of the dress is right on the knees, it won’t get you into the trouble of showing too much skin. Red is the color of Lunar New Year for all the ethnic Chinese. 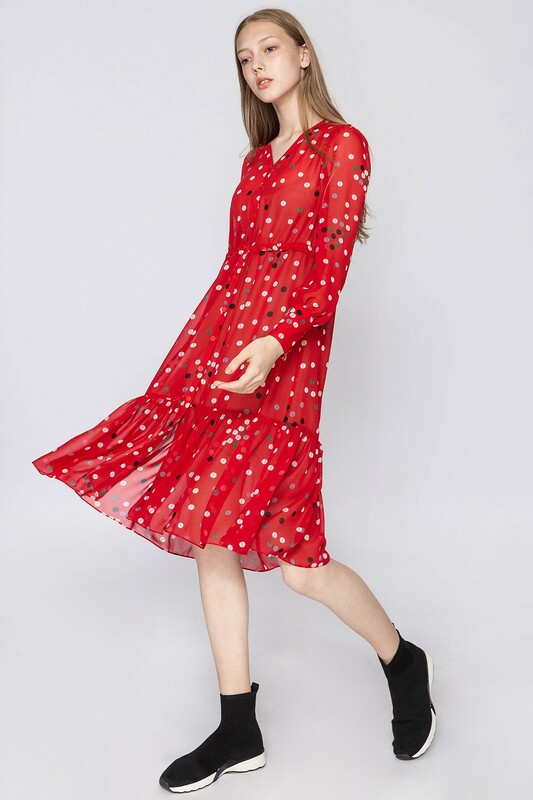 The dots spread irregularly on the dress which makes the dress exuberant and also balances the color red. 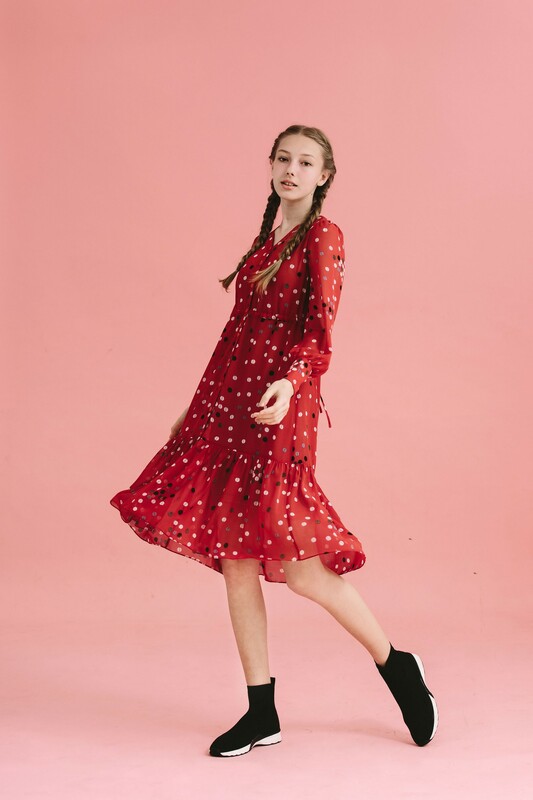 It’s a lucky red dress for everyone! The most important thing is wearing some red items to bring good luck to the game table. I guess a red dress is much more powerful than red underwears. Let’s go red and win all the games! For the new year, the first thing we do is exchanging new year greetings with each other. We should wear nice new clothes and wish your family and friends a peace and well year. The tweet suit set is the one to wear on Lunar New Year Day. 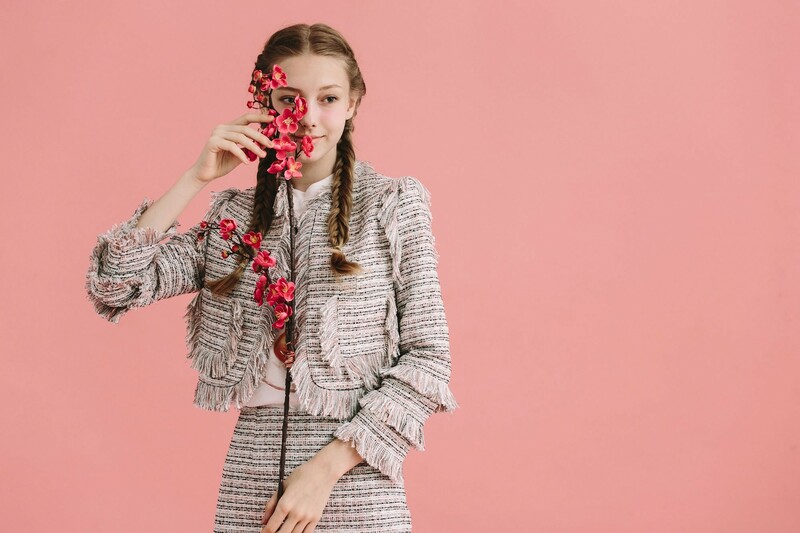 We mix the pink strings between the tweet to bring out the elegance of a woman and the cuteness of a girl. If you don’t like the suit set look, you can also match the jacket with a pair of denim. It creates a different modern look. You need to wear something comfy to keep all your mom’s cuisine in your belly when you go back home to be your mommy’s girl. 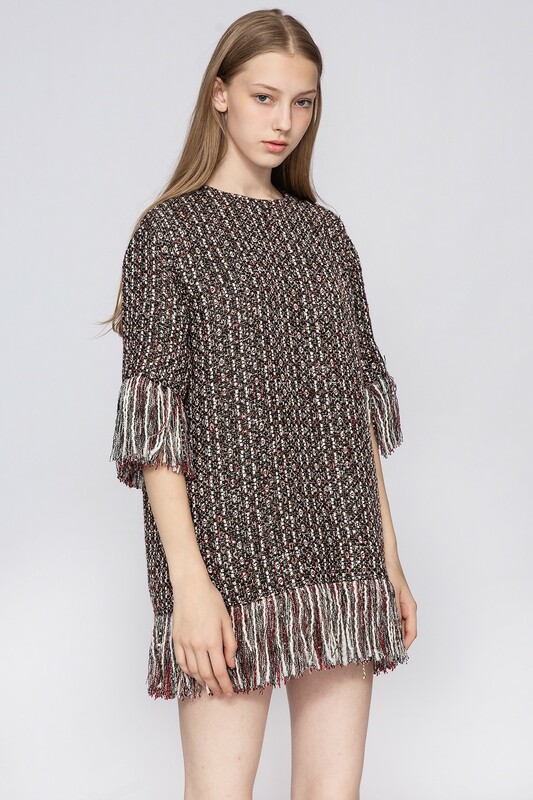 We highly recommend Glitter Tweed Tassels Long Top to you. The top is in a cocoon shape that can cover your belly when you have a feast. If you’re a petite girl, you can also wear it as a dress. It’s a bit boxy but not sloppy. We chose the classic tweed which is popular for over a hundred years and added some glitter and red strings into it to create the uniqueness out of the base of black and white. The rangy girl can match it with a pair of denim jeans. It can’t go wrong and you don’t even worry about looking old! Has been busy for 3 whole days and finally can sleep in now!! You should wear something comfortable and also stylish even you are just chilling at home. 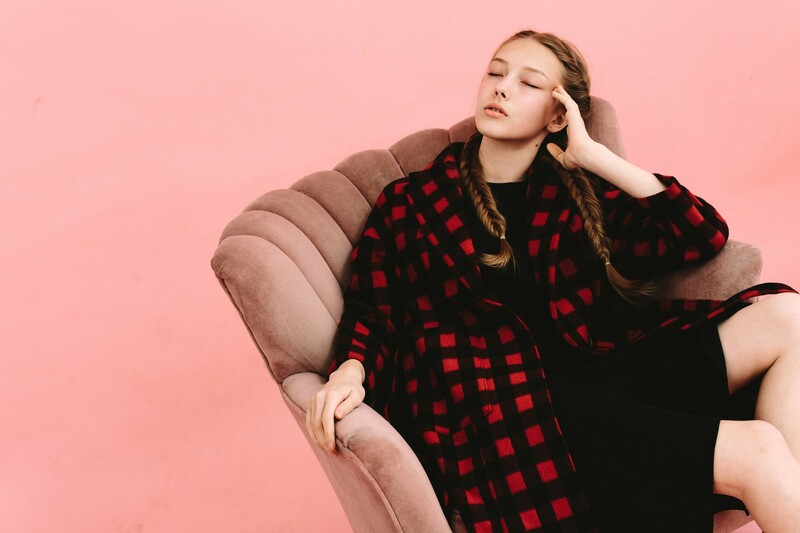 Red Check Woolen Belted Coat is what you need. Compared to other fashionable coats, the plaid coat is more classic. The coat is made of 80% wool, it’s very comfortable and warm. And we chose the red based fabric with black lines on it to create the chic look. The detailed cut and the fine fabric of this coat will let you shine with style when you wear it. It’s an item that you can’t miss out from the new arrivals. Grasp the last chance to hang out with family at the end of the holiday. Colorblock Track Sports Pants and Oversized Red Plaid Colorblock Coat is the best match for you to do all kinds of activities. Oversized Red Plaid Colorblock Coat is our creative director’s favorite of the month. It creates a perfect balance when the red plaid meets the khaki. It combines the street style with elegance, casual yet cool. You can wear it for a small trip, or change what you wear inside to make a formal look with it. It’s an item that can be casual and also suitable for work! Isn’t it super worthy?